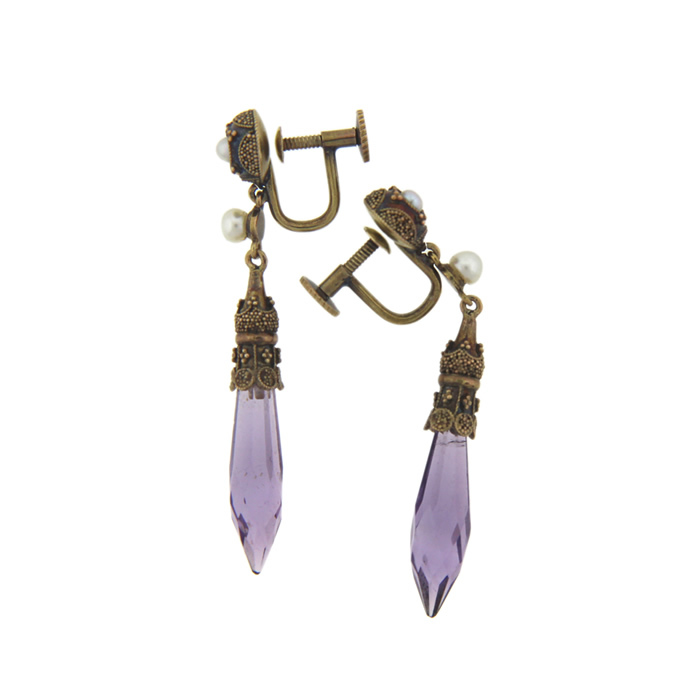 Two beautiful prism shape amethyst gemstones dangle beneath exquisitely detailed gold and pearl settings. 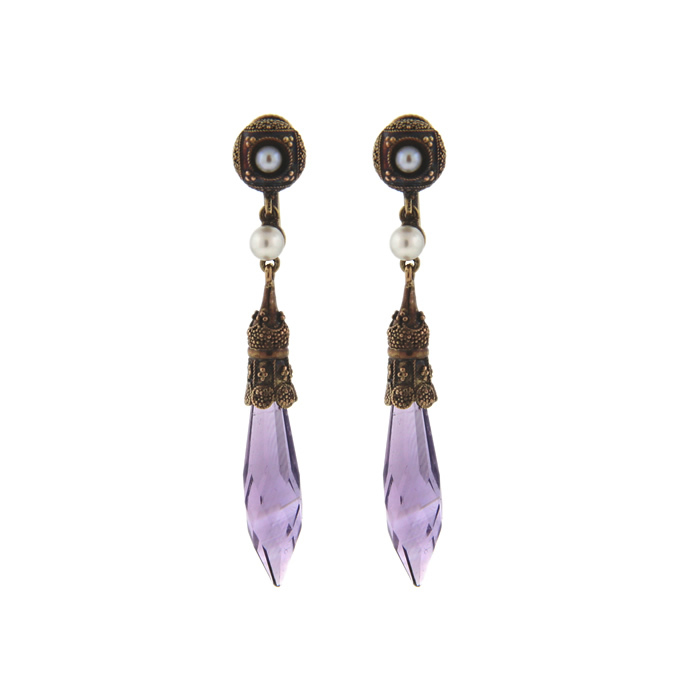 These Victorian Etruscan Revival earrings would make an extra special gift or addition to your antique jewelry collection! 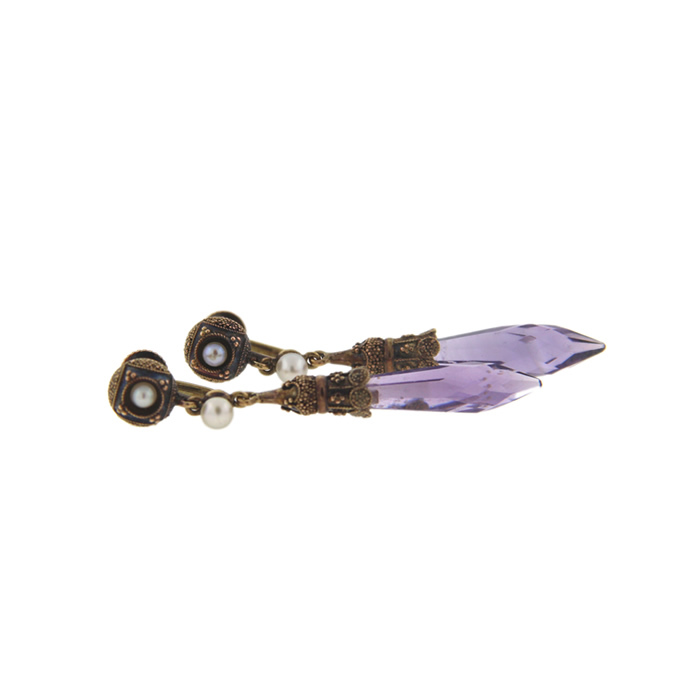 The non-pierced screw backs could be changed to pierced push back posts. Contact Donegal Jewelers for more information if interested. "Friendly, local and personal service at Donegal in Doylestown. Unique pieces on display and great repair/services rendered. A beautiful repair was performed on my wife's engagement ring where we sourced a replacement stone, and it was re-set better than original! It now is even more special with the character it has now. Being ready on her birthday was the icing on the cake! Highly recommended small business." - B.C.